ASUS MX27AQ 4K-UHD-2K-WQHD Monitor Replacement AC Adaptor with Power CordThis is a High Quality, lig..
ASUS PQ321Q Professional Monitor Replacement AC Adaptor with Power CordThis is a High Quality, light..
ASUS VG278Q Gaming Monitor Replacement AC Adaptor with Power CordThis is a High Quality, light weigh..
ASUS VX24AH Eye-Care Monitor Replacement AC Adaptor with Power CordThis is a High Quality, light wei..
New Global Replacement AC Power Adapter For ASUS MG248QR Gaming MonitorThe ASUS MG248QR Monitor powe..
Worldwide Replacement AC Adapter for ASUS MX259H Eye-Care Monitor, comes bundled with free power cor.. 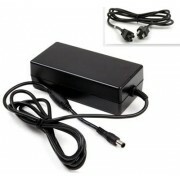 Replacement ASUS MX299Q Eye-Care Monitor Power Adapter with Free CordThe AC DC adapter is designed t.. Replacement Power Adapter compatible with ASUS ROG SWIFT PG279Q Gaming MonitorNon-OEM but 100% Compa..
Worldwide Replacement AC Adapter for ASUS ROG SWIFT PG27VQ Gaming Monitor, comes bundled with free p.. 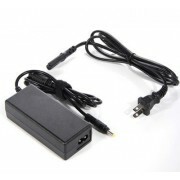 Replacement ASUS ROG SWIFT PG348Q Gaming Monitor Power Adapter with Free CordThe AC DC adapter is de..
Worldwide Replacement AC Adapter for ASUS PT201Q Professional Monitor, comes bundled with free power..
New Global Replacement AC Power Adapter For ASUS VC239H-W Essential MonitorThe ASUS VC239H-W Monitor.. 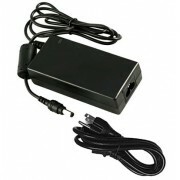 Replacement ASUS VX228H Essential Monitor Power Adapter with Free CordThe AC DC adapter is designed .. 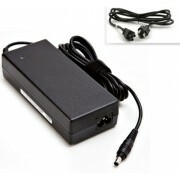 Replacement Power Adapter compatible with ASUS VX238H-W Eye-Care MonitorNon-OEM but 100% Compatible .. Replacement ASUS VX279Q Eye-Care Monitor Power Adapter with Free CordThe AC DC adapter is designed t..
Worldwide Replacement AC Adapter for ASUS VZ229H Eye-Care Monitor, comes bundled with free power cor..